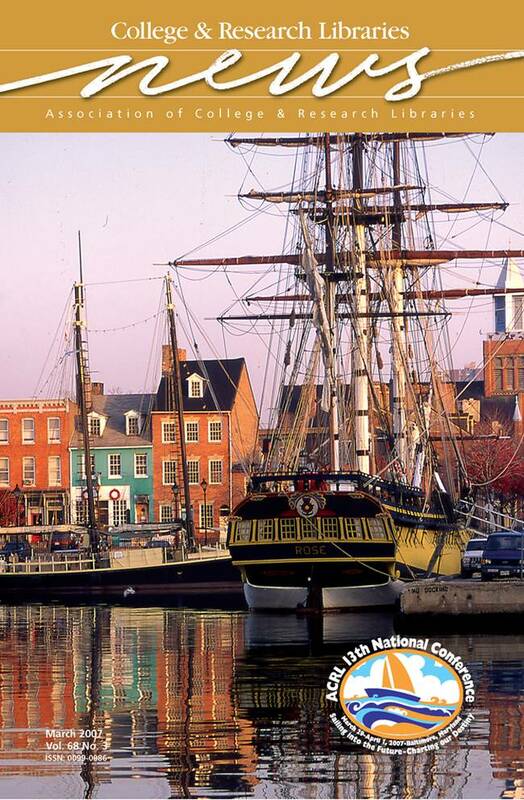 ACRL’s 13th National Conference, “Sailing into the Future—Charting our Destiny,” offers an exciting and energizing exchange of ideas on research, practices, and visions in the field of academic and research librarianship. More than 250 peer-reviewed programs will be presented March 31–April 1, along with keynote sessions by Michael Eric Dyson, one of the nation’s most renowned public intellectuals; filmmaker John Waters, (Hairspray, Pink Flamingos, A Dirty Shame, and more); and Nina Totenberg, National Public Radio’s award-winning legal affairs correspondent. Complete details about the conference, including virtual conference information, are available at www.acrl.org/baltimore.